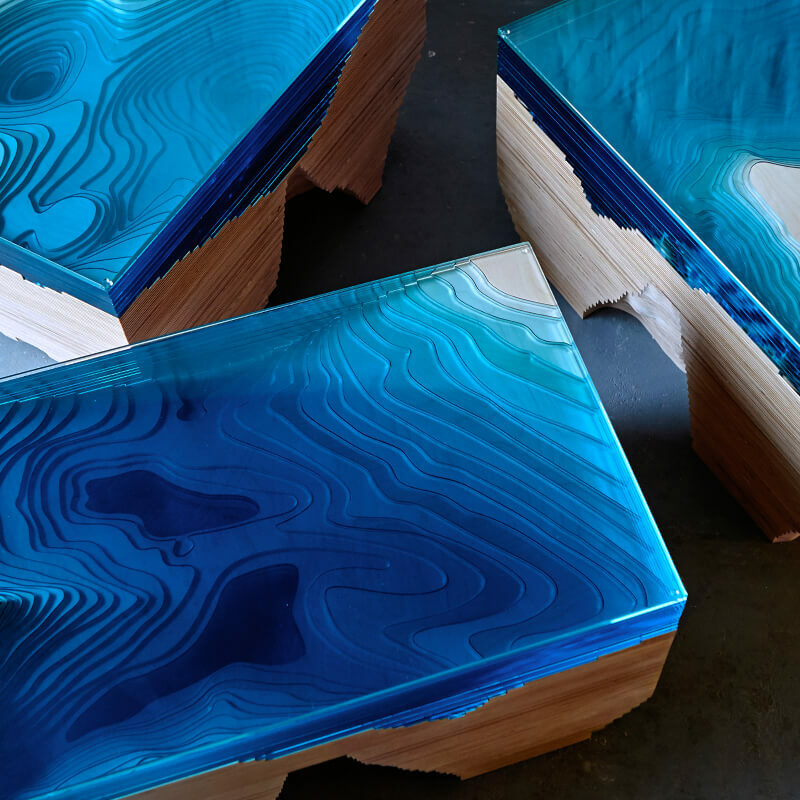 looking to the depths of the ocean to dream up a dramatic new coffee table, that introduces the majesty of the big blue to the interior... As well as servicing you with somewhere impressive to put your cup of tea. Like all of Duffy's designs, the Atlantis Table is a conversation piece as much as a functional one. 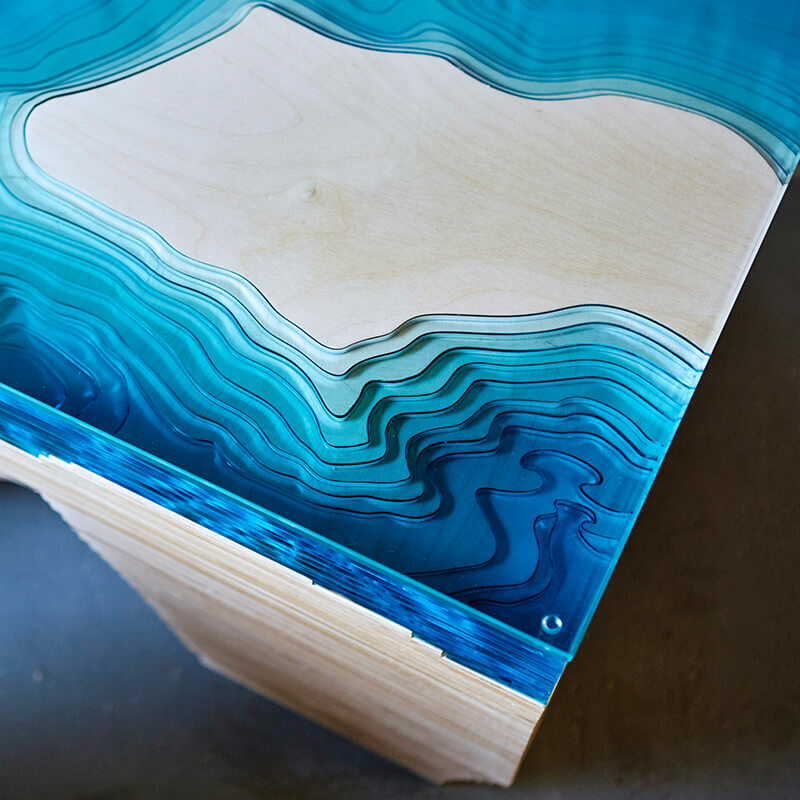 But while previous works play with gravity, this new design is concerned with depth, and creates a geological cross-section as mesmerising as the sea. 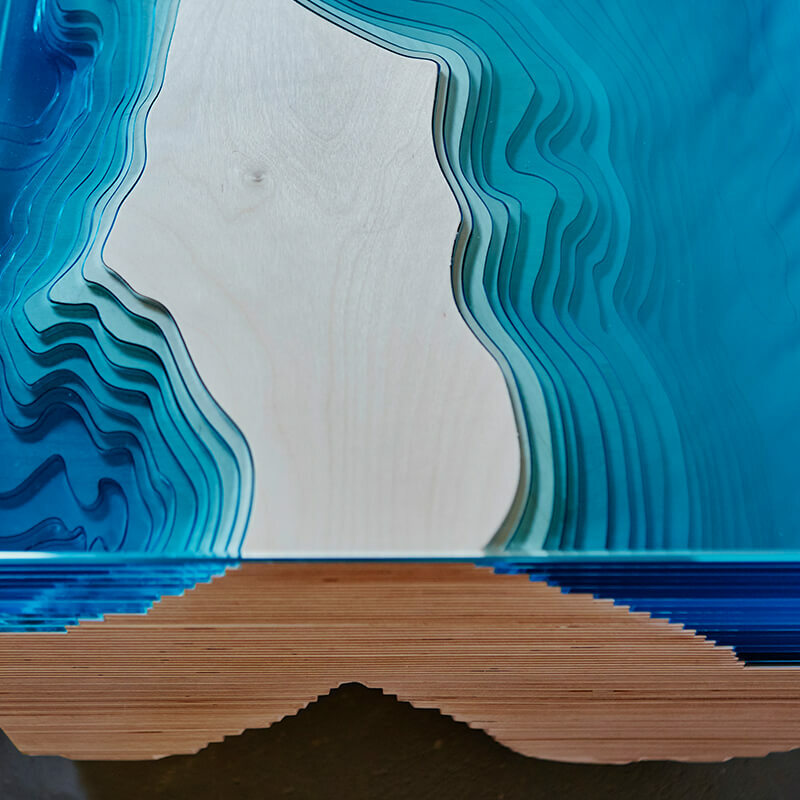 The design team spent a year developing the table in their London studio, experimenting with sculpted glass, Plexiglas and wood, arranged like a 3-D representation of a geological map, until they re-created something of the mesmeric abyss that had first captured Duffy's imagination. High grade wood from Forest Stewardship Council managed forests and other controlled sources. Glass. 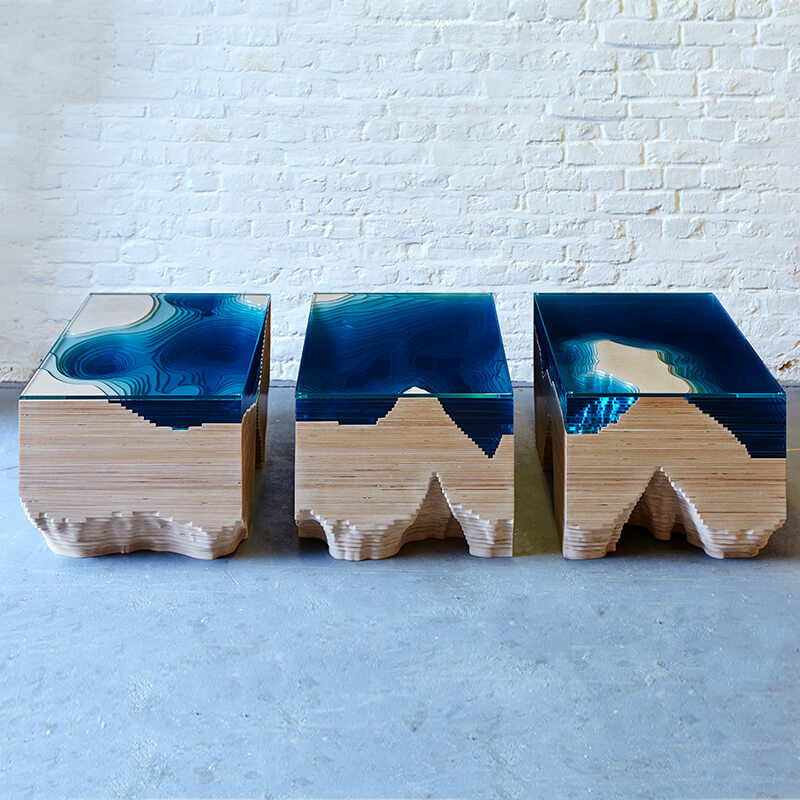 The Atlantis Table is limited to 1 edition.